Disney Interactive is backing away from video game development at speed, and it continues axing developers left and right. Epic Mickey studio Junction Point fell in January and recently the hearts of longtime gamers were broken when LucasArts fell just two short weeks ago. Why incur the costs in running your own studio when it’s cheaper to contract outside studios like Disney Infinity developer Avalanche Studios, or simply license out popular properties like Star Wars for big money and zero risk? Disney is also swiftly catching up to other companies like Nintendo who re-release old games rather than making brand new ones. Case in point: This summer’s remake of Castle of Illusion Starring Mickey Mouse. 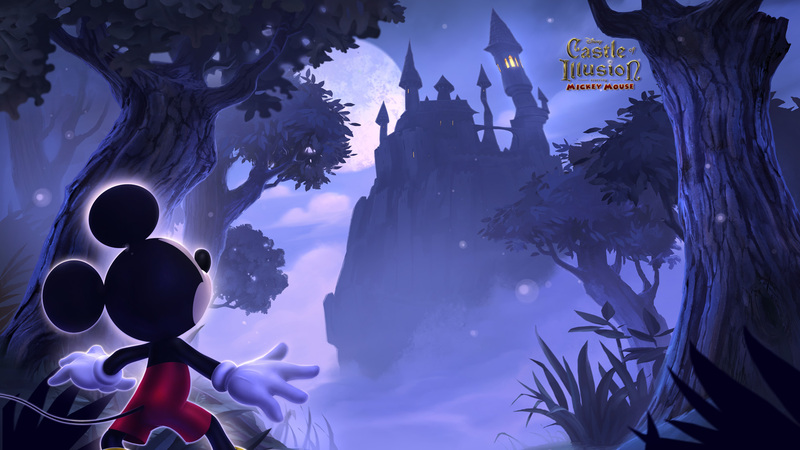 Developed by Sega and released on the Genesis console in 1990, Castle of Illusion was one of a number of 2D platformers licensed by Disney that retain a fan base even today. The game was developed by AM7, one of Sega’s storied internal development teams that later became Overworks, the team behind Streets of Rage and Phantasy Star. With AM7 busy making Japan-only arcade and Nintendo 3DS games like 7th Dragon 2020, the HD remake of Castle of Illusion will be handled by Sega Studios Australia, whose last game was London 2012, Sega’s tie-in games for last summer’s Olympics. But just because the old team isn’t banging out this remake, which mixes 2D and 3D elements much like WayForward’s recently announced DuckTales Remastered, that doesn’t mean there isn’t any input from them. The original designer known as Emirin, who worked on all of Sega’s Disney games, is working with Disney Interactive on the production. Sega is an appropriate partner for Disney, as that company is also starting to rely more heavily on its catalog of games rather than making new ones. Like Disney, Sega laid off a large number of staff members in 2012, shuttering studios, and cancelling games, while it bolstered its release schedule with HD remakes and remasters of games like NiGHTS into dreams and Jet Set Radio. Disney is building up its re-release schedule now. This summer will see Castle of Illusion and DuckTales hit Xbox 360, PlayStation 3, and PC. What other vintage Disney games do you want to see, and will the company recognize the potential in HD remakes of its lucrative LucasArts catalog?